Game on friends! When there's a game on, you can be sure there's grub on the table! I think I've professed my love of chicken wings before and I love trying new recipes to prepare them in various ways. 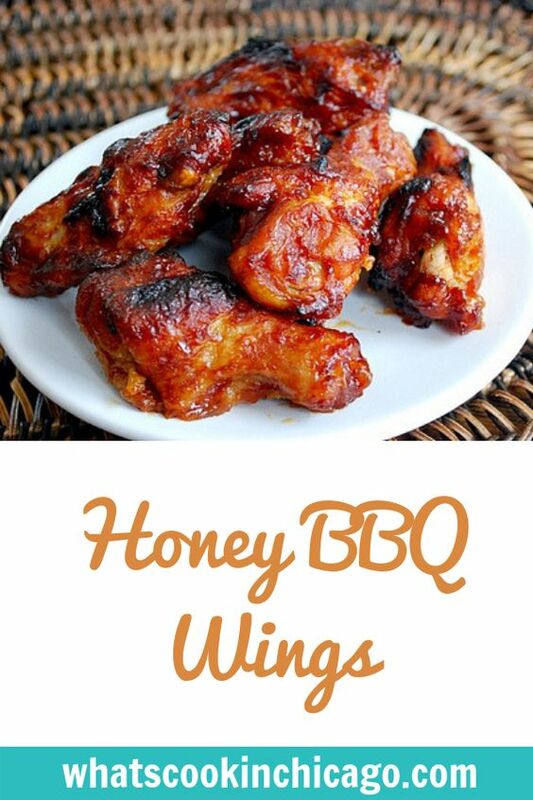 So here's one for Honey BBQ Wings. Whether you're gluten free or not, these are finger lickin' good and you'll definitely want to make a double (triple?) batch to feed the gang. With a little Asian flair, these marinated wings are baked, brushed with honey and finally broiled to perfection. Be sure to have lots of napkins handy... you'll need them! In a large bowl, mix the teriyaki sauce, oyster sauce, soy sauce, ketchup, garlic powder, liquid smoke, and sugar. 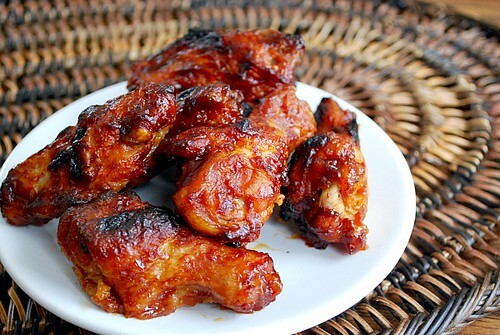 Place the chicken wings in the bowl, cover, and marinate in the refrigerator 8 hours or overnight. Place the chicken in a single layer on a lightly greased, parchment or foil lined baking sheet. Bake the chicken in the preheated oven for 20 minutes then brush with honey. Continue baking for another 20 minutes and then broil for 2-3 minutes until slightly charred. I love finding recipes for baked wings. I also love the Asian/BBQ flavors for something different than the Buffalo sauce. Those have Super Bowl written all over then...yum!